As we continue we come to the first guest bedroom. 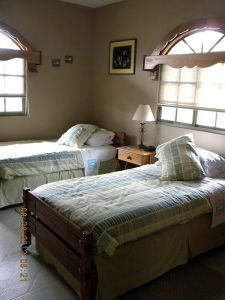 The bedroom itself has the same dimensions as the master bedroom, complete with ensuite bathroom (but without Jacuzzi) and a smaller walk-in closet. This bedroom has its own exit/entrance door leading to the tiled patio and directly to the spiral staircase up to the balcony. And …. Finally – further down the corridor to the right, is the half bathroom (what can I say about a half bathroom), compact but great for dinner guests or day visitors to use. 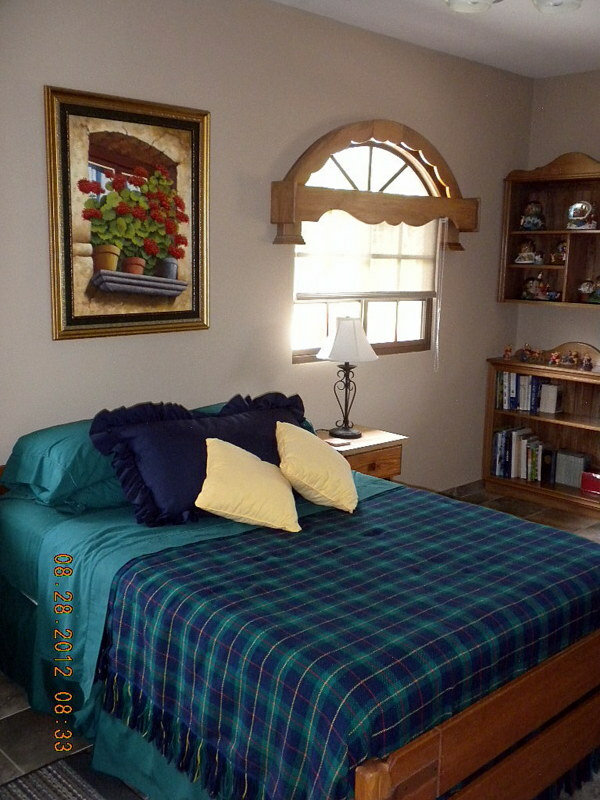 To the left is the Guest Bedroom. Not as large as the other two bedrooms but still spacious, also with its own ensuite bathroom.